AICSYS, Inc., Taipei, Taiwan announces long life support for IPC Products. Over the last few years, personal computers have experienced an expansion in the market particularly the CPU where multi-core CPUs are being specified with an internal clock frequency speeding above one gigahertz. However, the requirements of industrial computing are a lot different to than the needs of computers for home and office. Industrial computers are designed to have particularly long life cycles, and often run highly specialized applications software. 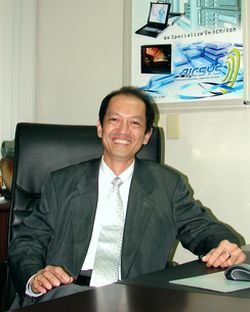 With more than 18 years in the industrial computing industry, Mr. Steven Liu, the Vice President of AICSYS (Advanced Industrial Computer Systems) Inc. has observed that the rapid advancement of technology has caused several ICT hardware companies to jump on the bandwagon in order to keep pace with this trend. Liu said: "Within 3~5 years of time, many local companies will likely to introduce new products, replacing the older ones and eventually phasing them out within a year." This practice is being exercised by these companies at an alarming rate; greatly impacting many of their customers. Thus, forcing some of their once loyal customers start to look for some these products elsewhere. Liu showed concern over this matter and said: "It is not that AICSYS is against these new trends, but the company insists on not throwing out traditional IPC products just because of new trend." It is not in the culture of AICSYS to do this. The philosophy of AICSYS is to make products with long-life support and offer in-house custom enclosure design. Moreover, AICSYS has an excellent R &D Engineering team in place to design innovative products, as well as modify existing products to meet unique requirements our customer's may have. Liu said: "I have been in the industrial computing business for many years; I have listened, worked and provided many industrial solutions to our valuable customers." Liu cited an example illustrating how to make long life products. Take a 4U industrial chassis, AICSYS engineers will follow the customer's requirements while at the same time integrating the new technologies in order to produce a better 4U industrial chassis with backward compatibility. AICSYS products are highly trustworthy and dependable. Both our quality practices as well as our understanding design process provide our customers a sense of security while undertaking the arduous task of designing their Industrial Computer Product. "We understand the business requirements of our customers and supplies them with exclusive computers," Liu stated. Once the AICSYS 4U chassis reaches a customer, the unique steps we have taken to combine both proven designs as well as new leading edge technology pays off in a product that is backwards compatible to the older technology but still has been designed to move forward with the latest technology trends are. AICSYS is always striving to use the latest technology to provide systems for our customers with a competitive edge. The company has built a solid reputation for manufacturing custom built industrial computers and high-end commercial systems for a variety of system integrators, factory automation builders and other specialized industry providers.